Jenny Russell is the Assistant Director of New Student Orientation at The University of Alabama in Huntsville. Jenny works with her team at Student Affairs and the Office of Student Life to plan top-notch orientation and welcome events that connect students with the community while bringing in money for student programs at the same time – efficiency at its finest. What’s the best way to welcome? Jenny helps to create an environment for new students during orientation that will allow them to feel a connection to the campus community. Once New Student Orientation gets students acclimated to college, they return to campus for a “Week of Welcome” hosted by Student Life. 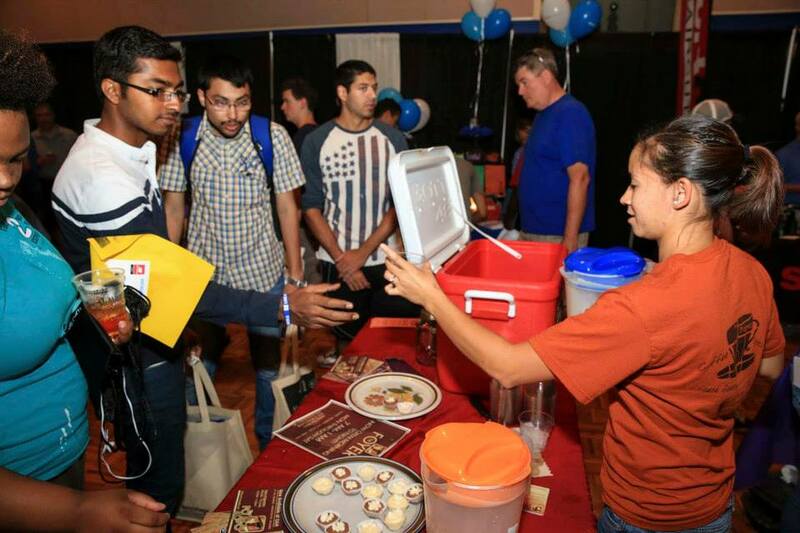 At Week of Welcome, a vendor fair called “Taste of Huntsville” allows local businesses to introduce themselves to the new students. The fair came about when the Student Life team noticed that the locals seemed to be missing a prime opportunity. The fair had maxed out around 40 vendors in previous years, and endless amounts of paper were being printed to supplement Week of Welcome events. Jenny had been introduced to Guidebook at educational conferences she had attended. She loved how it was able to reduce the amount of paper waste created at an event as well as support deep social integration and foster a sense of community – it seemed like a perfect tool for UAH’s new students. Soon UAH had its own branded app in the app store and the Office of Student Affairs and Office of Student Life had found themselves building guides for New Student Orientation, Week of Welcome, Homecoming and a yearly leadership conference. In the meantime, booklet and schedule printing went down 20% in the first year of their app’s use and over 50% the following year. One of the ways that UAH was able to begin reducing paper was by building in app adoption as an essential part of the orientation process. Since students will continue to download guides during their careers at UAH, Jenny has helped to foster what she calls “a culture of downloading guides” during orientation. But what Student Life was able to do with Guidebook’s sponsorship capabilities truly makes UAH’s app a success story. In order to encourage vendors to take advantage of sponsorship during the Taste of Huntsville event, the office started including mobile app banner ads as a package incentive. They soon found that with download insights from the dashboard, they were easily able to increase interest in sponsorships. UAH has found that by offering sponsorship perks like social media mentions, logos on t-shirts, prime booth placement, and mobile app banner ads the vendors feel more engaged in the event itself. In the first year using Guidebook there were 40 vendors taking advantage of Taste of Huntsville. Since then, they’ve attracted over 30 new vendors – a 75% increase in participation. What’s resulted is a fantastic event that benefits both Huntsville and UAH’s students. Business in Huntsville is booming and students have a better idea of where to find what they’re looking for. “Banks, restaurants, apartments – anything you would need outside of campus is represented there,” Jenny says. 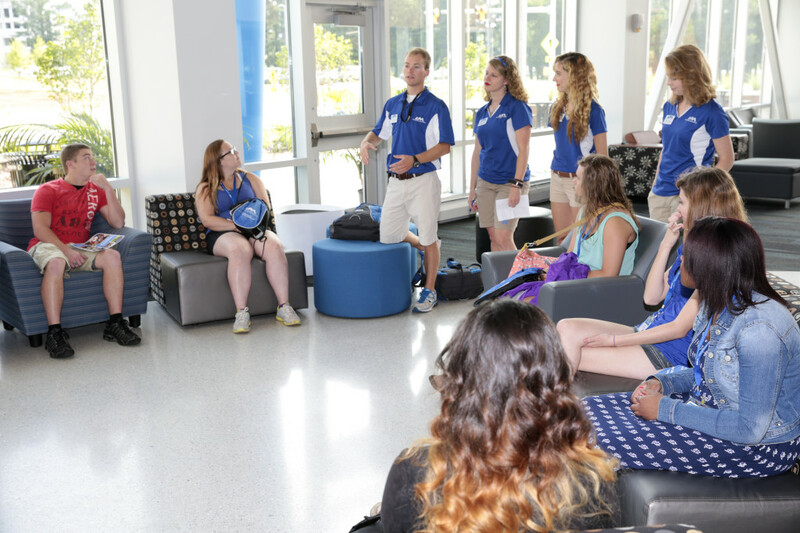 With Guidebook, UAH has helped to create a warm welcome for incoming students while also generating additional revenue for programs. Since its introduction, UAH’s Guidebook has grown to include an entire Student Life guide that encompasses Homecoming, as well as a transitional guide to supplement First Year and Second Year Experience coursework. To learn more about attracting sponsors to your event, check out our Event Sponsor eBook. Download a PDF version of this customer story.